You want to share your work to the public? 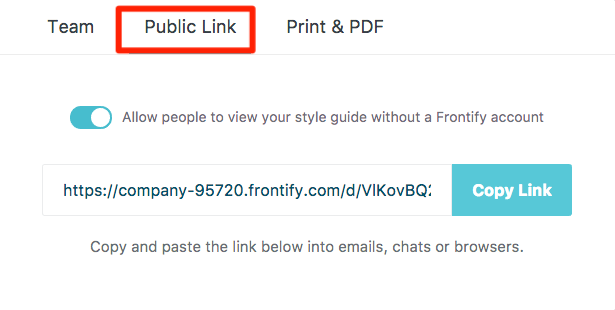 Public sharing with Frontify is so easy. How it works and what you`ve to do will be explained in this short article. 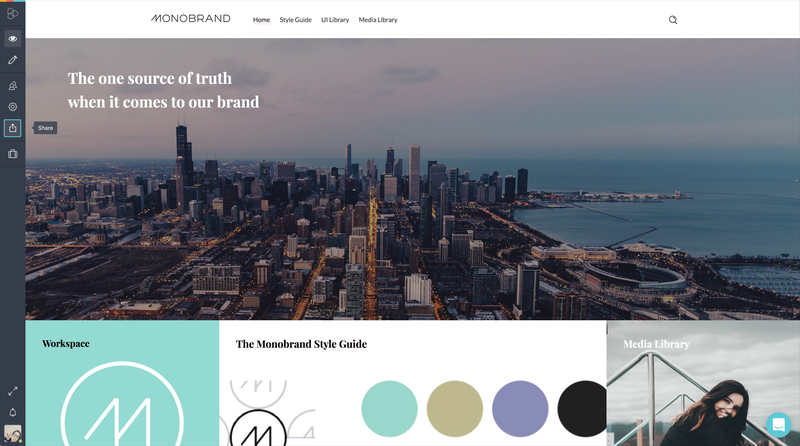 Within in your Style Guide or Project. Click the Share icon in the Powerbar. On the next screen, click on the tab Public Link. Here you have the possibility, to set the switcher to grant people access without a login. Also you can copy the link directly and paste it into your chat, email or other tool.